A talented czech potter Jiří Lang is focusing lately more on teaware. Jiri tries to stay with own unique design and working on functionallity of the teaware at the same time. 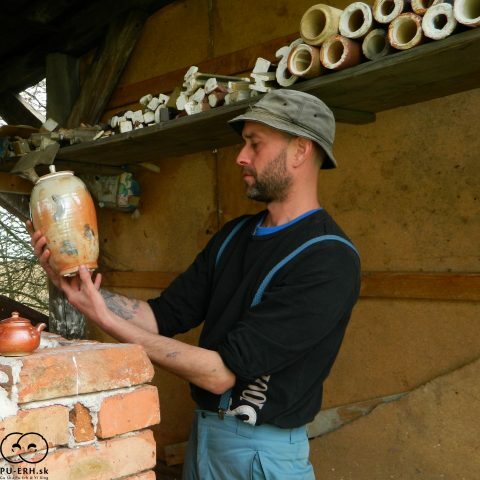 His ceramic journey started back in 2008 and lives and works in Vysočina region in Czech Republic. On the begining he met Seko brothers and Jan Jánský so that he got interested in woodfired ceramics. Jiri Lang pieces are made of stoneware and porcelain. Jiri is a guy of few words, a very modest man with big heart and passion for ceramics. He patiently walks his own way.